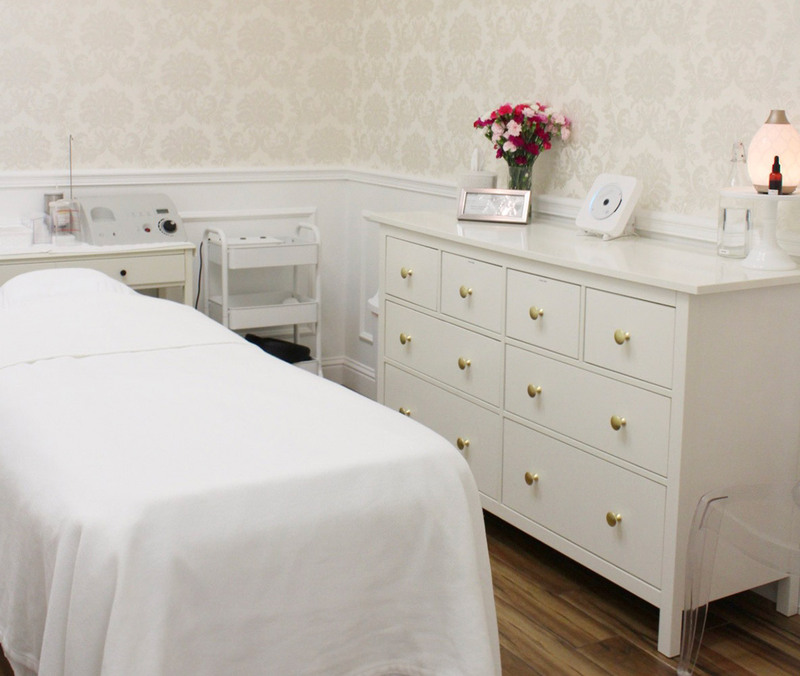 Brazilian Wax Boutique introduces the Image Skincare Philosophy: Professional Skincare. Advanced Results. (45 min) Restore instant glow and illumination with this power packed 45 minute anti-aging facial incorporating 24kt gold leafing, peptides and hydrating acids. Deeply indulgent, you will be wowed by the combination of effective exfoliants, rich hydrators and technologically advanced ingredients. Skin is visibly firmer, more even in tone and radiant. (45 min) This luxurious treatment contains an organic blend of pumpkin, and fruit enzymes to polish and perfect dull skin. Plant derived stem cells protect cells and slow the aging process while powerful peptides stimulate collagen for instantly firmer looking skin. (45 min) Skin-revitalizing treatment that helps repair skin that is damaged from over-exposure, scars, acne and the unwanted effects of aging. The system uses gentle abrasion with suction to remove the dead, outer layer of skin in order to stimulate and reveal new healthy skin underneath. Your skin will be instantly smoother and you will notice a vibrant glow after the first treatment. Hyper-pigmentation, acne scars, and fine lines, will lessen gradually over a series of treatments. (45 min) Receive the ultimate in anti-aging prevention while simultaneously drenching your skin in hydration. This luxurious treatment contains the most high-tech fusion of ingredients including plant derived stem cells, peptides, alpha-hydroxy acids, and a sophisticated form of Vitamin C work together to provide the MAXimum in the prevention of aging. (45 min) This amazing treatment diminishes dark spots using the latest innovations in lightening agents, and powerful exfoliation to create a glowing even tone. (45 min) The facial that does it all, even the well-traveled spa-goer will love this rejuvenating, vitamin-rich treatment. The Signature Facial will lighten, tighten, and brighten with nourishing hydration, leaving you feeling refreshed and renewed. This specialty facial is designed to revitalize and hydrate environmentally damaged, dry, dehydrated, dull or tired looking skin. The Signature Facial is ideal for sensitive or rosacea-prone skin, travelers, and all skin types in need of hydration. (45 min) This clinical facial is designed to effectively treat all grades of acne. Salicylic acid, retinal, and benzoyl peroxide synergistically work to effectively dissolve excess oils and superficial blemishes, while helping to ease redness and inflammation. You can expect refreshed, beautiful, shine-free skin in just one treatment. (45 min) Restore balance to your skin with this innovative facial with the perfect blend of organic ingredients with medical effectiveness. Even the most sensitive skin types will benefit tremendously from this soothing yet highly effective organic cocktail of soothing anti-inflammatories, potent antioxidants, rich botanicals, and skin firming peptides. Leaves skin soft, hydrated, and naturally refreshed with a healthy glow. This facial is ideal for young teens and pregnant women. (30 min) This luxurious treatment infuses oxygen, plant-derived stem cells, peptides and a high concentration of enzymatic botanicals into the skin leaving it luminous, refreshed, and rejuvenated. (30 min) Annoying acne breakouts are not limited to your face. This clinical treatment combines, fruit enzymes, beta hydroxy acids, and powerful anti-inflammatory botanicals to eliminate stubborn back acne. Recommended in a series of 6, once every two weeks for optimal results. (30 min) This exclusive blend of salicylic, lactic, resorcinol and retinol in a blend of peptides and plant derived stem cells creates “perfection” in addressing moderate to severe photo damage, deeper lines and wrinkles, as well as pigmentation disorder and acne. One single treatment in an easy 1-2-3 step self-neutralizing process will reveal ageless, glowing skin. (30 min) The revolutionary treatment performed in four layers will change the image of your skin in just one application. Vitamin C, Glycolic Acid, and gentle but highly effective enzymes speed up cellular turnover and brighten, tighten, and lighten your skin in just one treatment. (30 min) A beta-hydroxy acid cocktail. This safe and outstanding resurfacing modality has a dual benefit. It reduces and treats all kinds of acne while resurfacing and smoothing the skin after just one treatment. (30 min) The ultra-resurfacing glycolic and retinol treatment exfoliates dead skin cells, leaving your skin firmer and healthier. Visibly reduces the appearance of fine lines. (30 min) This mega-lightening treatment gently blends lactic acid and a cocktail of lightening and brightening agents to reduce sun spots, brown spots, and the redness called rosacea. A Chemical peel treats almost all skin types and conditions. Lighten up your face and give it a boost! There is a spectrum of treatments that avail different results. A proper chemical peel experience begins long before you step foot in the treatment room. The post-peel results you achieve, your experience during the treatment, and even your ability to receive a peel are all affected by what products you use at home in the weeks leading up to your treatment. Here are some things to keep in mind before your next chemical peel. Exfoliate - Steadily performing chemical exfoliation afew weeks before your first treatment helps to ease the skin into a professional strength chemical peel. We recommend using Image Ageless total facial cleanser 2-3 times a week, at least two weeks prior to your peel appointment – just be sure to stop two days before your treatment. Stay hydrated - Dehydration can sensitize skin, making it more vulnerable to a negative reaction. Be sure to drink plenty of water in the days leading up to your treatment, and avoid any activities that would leave your skin exposed to excessive, dehydrating heat. Use a calming night cream for sensitive skin, like Image Ormedic balancing bio-peptide cream after cleansing at night. Lighten - Reduce the risk of post-treatment hyperpigmentation. We recommend using Image Iluma intense brightening serum morning and night, to help suppress melanin production after a peel to ensure dark spots don’t pop up after the treatment. Skip your workout - Not only is sweat an unexpected source of dehydration, but working out dramatically increases circulation within skin, leaving it over stimulated before a peel. Avoid working out the morning before your peel. Stick with a routine. Don’t start experimenting with new products within the days leading up to your treatment. Use only products you know work for your skin so it stays calm and balanced. Stopping Retin-A aka “Tretinoin, Tazorac, Differin, Triluma, Renova” to name a few, two weeks before peel appointment is optimal. Wait two weeks before or after having facial hair removal (waxing/laser hair removal/electrolysis, and depilatory creams). Advise skin care specialist of any skin conditions (i.e. : Psoriasis, Eczema, Rosacea). Yes, you can have a peel if you have Rosacea. There are special peels for this condition. Immediately following peel take extra precaution to guard against exposure to sun. This means Image Skincare SPF and large brimmed hat (not a visor or baseball cap). Days 2 through 6 avoid harsh cleansers, scrubs, Clarisonic (or any other scrubbing brushes), washcloths, Benzoyl Peroxide. Do not apply Retin-A, Renova, Tazorac, and/or Differin 2 weeks after your treatment, to the treatment area or as instructed by your Licensed Esthetician at Brazilian Wax Boutique. Use a gentle cleanser such as Image Skincare Ormedic balancing cleanser twice a day. We highly recommend that you apply Image I Rescue post treatment recovery balm over treated areas to minimize redness, itching, irritation and hyperpigmentation. It is safe to wear makeup the following day depending on the level of peel. Aggressive peels, avoid makeup for 3 days. Do not sun tan or use the tanning bed 2-4 weeks after your treatment. Do not have any other facial treatments/procedures for at least two weeks after peel or until flaking stops.